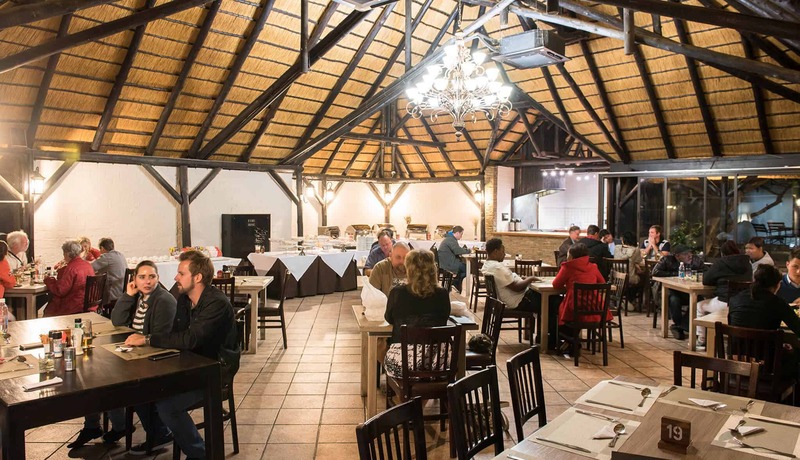 Dining at Arebbusch Travel Lodge couldn’t be more convenient – or satisfying. Guests in our luxury and standard rooms have breakfast included in their accommodation rates, while all other guests have the choice of indulging in this option if preferred. 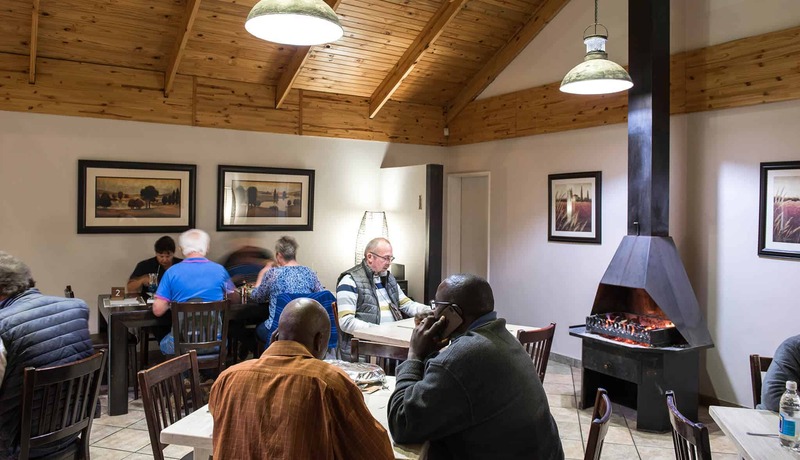 Guests of Arebbusch Travel Lodge as well as day visitors and locals are invited to join us for meals any time during restaurant hours. We welcome large groups, celebratory parties, weddings and conference bookings too. 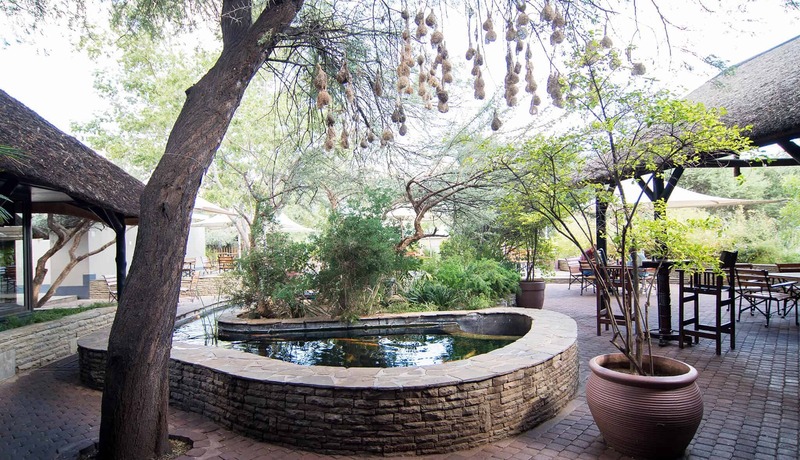 When you stay at Arebbusch Travel Lodge, you have the freedom to explore Windhoek’s many attractions at your own pace, without having to worry about rushing back for lunch or dinner. This makes us the ideal choice for those wanting to embark on exhilarating day trips from the capital city too. Windhoek is perfectly located to visit numerous fascinations in the area like Okahandja, Hobabis, Rehoboth and the Khomas Hochland. If you are travelling from further afield, Arebbusch Travel Lodge is the perfect place to spend your first night after a long flight to Hosea Kutako International Airport. 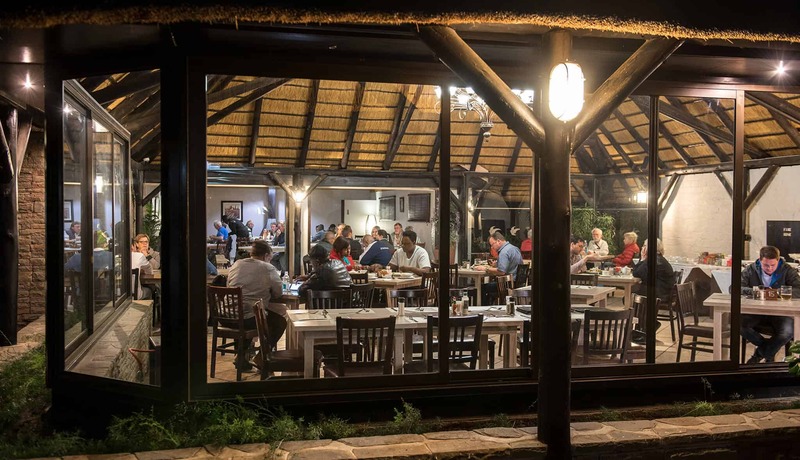 Our restaurant offers the perfect hassle-free introduction to Namibian cuisine after a long day of travel. There are currently two dining options at Arebbusch Travel Lodge. 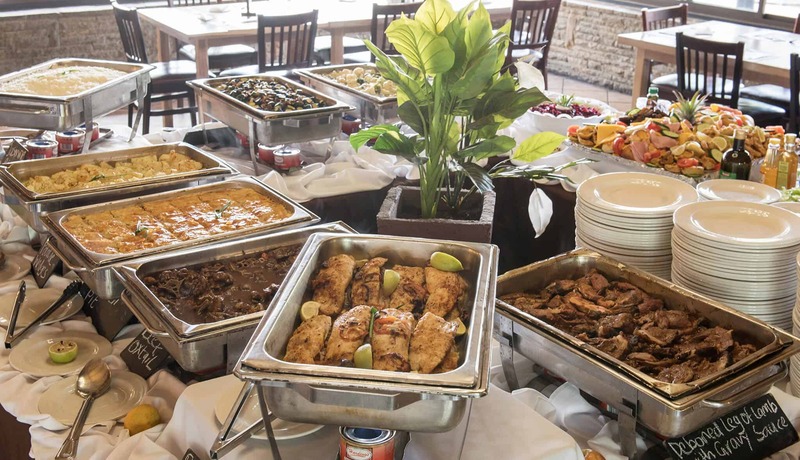 You can enjoy your choice of a la carte or buffet meals from our main restaurant or take your pick from our Pizzeria menu. 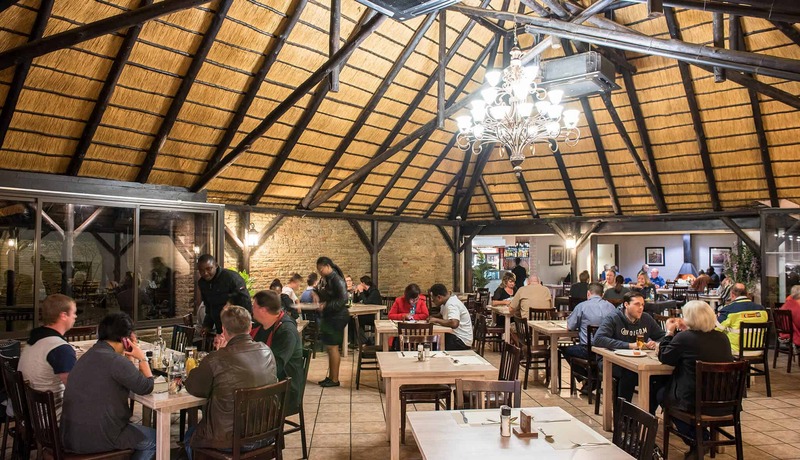 This long-established eatery is one of the best restaurants in Windhoek for family-friendly dining. Our kiddies’ menu is sure to meet the criteria for fussy tots, while our a la carte offerings provide a wide range of choices for discerning diners. You’ll feel right at home in this cozy, welcoming atmosphere and our outstanding service and delicious meals make for a memorable dining experience. 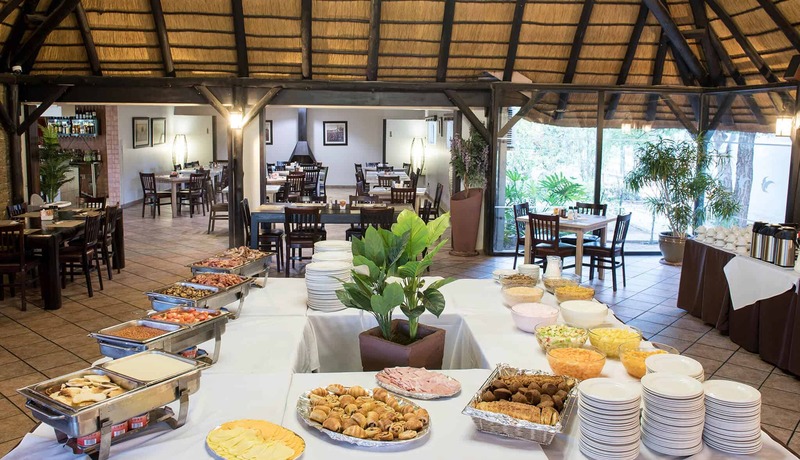 Affordable prices, natural surroundings, in-and outdoor dining areas and great quality food prepared by expert chefs are what makes Arebbusch Travel Lodge Restaurant one of the most popular places to dine in Windhoek. Children are well catered for with a playground located right alongside the restaurant as well as an indoor entertainment area featuring X boxes with the latest age-appropriate games. The restaurant is open from 6:30 am to 10pm daily, offering breakfast, lunch and dinner 7 days a week, including public holidays. You can also pop in for a scrumptious slice of home-baked cake with tea and coffee any time of the day. 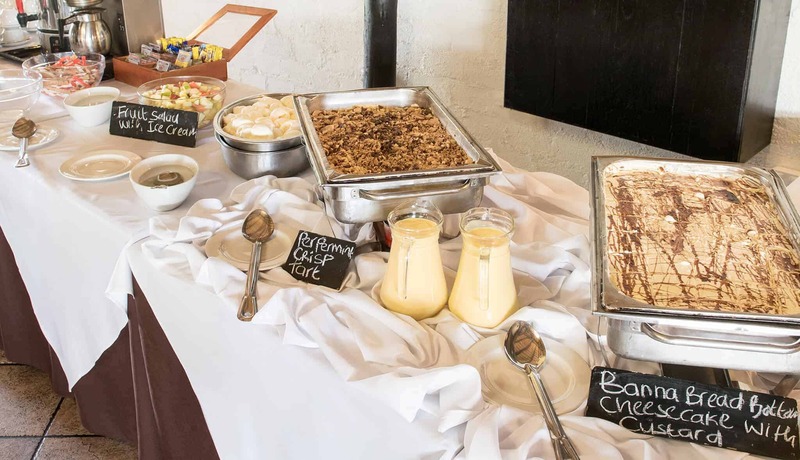 Our breakfast buffet is a top choice among guests who want to start their day on the right foot. 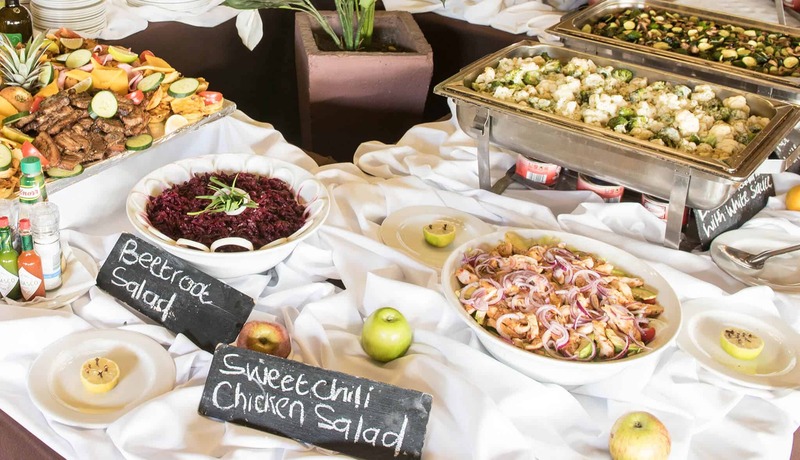 From Monday to Saturday, guests can indulge in our set menu at lunchtime, and the Sunday buffet menu is the perfect indulgence to fuel you for a new week. 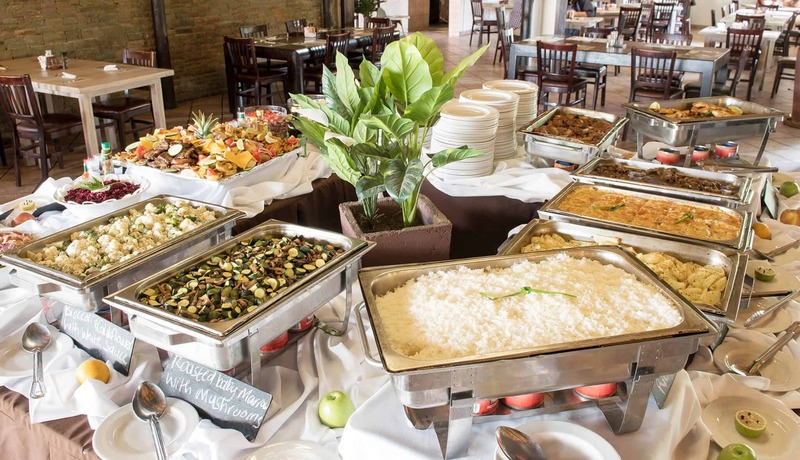 Come dinner time you’ll have a hard time deciding between the seafood, pasta, vegetarian, salads and meat dishes on offer, including some German and African specialties. Smaller eaters can choose from wraps, nuggets and burgers on the littler menu. The restaurant offers the full range of alcoholic beverages to accompany your meal as well as fine wines, Irish coffees and refreshing cocktails to choose from. Tea, coffee, cool drinks and mineral water are on offer for those who would rather not indulge. Visit our Arebbusch Travel Lodge Restaurant page to find out more and book your place at the table. 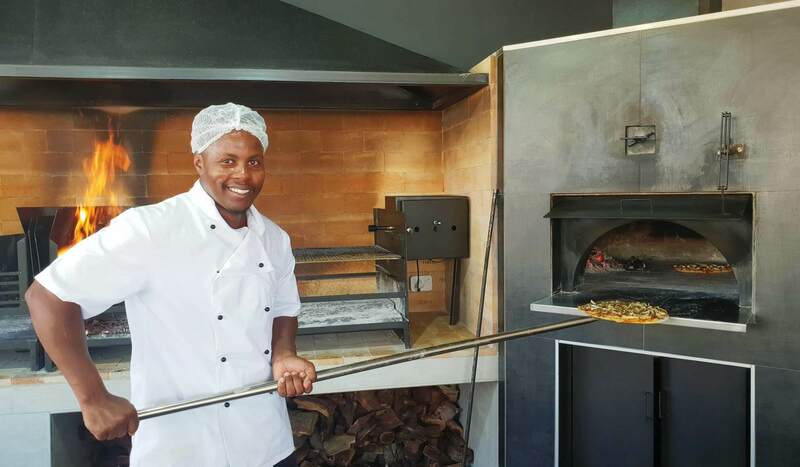 The latest addition to our onsite facilities at Arebbusch Travel Lodge, the Pizzeria is already a hit with locals and tourists alike. 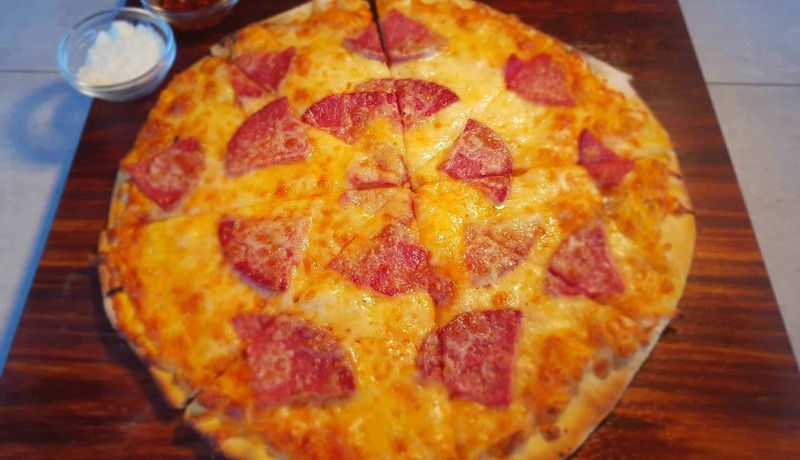 Here you can choose from a menu featuring all your favorite types of pizza from the traditional Margherita to the no-holds-barred carnivorous feast, the Arebbusch Meaty. All our pizzas are made on demand from the highest quality stone-ground flour topped with a tomato base, olive oil, mozzarella and parmesan cheese, or you can build your own pizza from the ingredients of your choice. A traditional wood-fired oven adds the final touch to ensure the perfectly crisp base and gooey, cheesy topping that is the delight of every pizza lover. Grills include the very best cuts of locally produced meat such as rib-eye, T-bone, sirloin, fillet and rump steaks as well as tender lamb loin chops and venison sirloin. 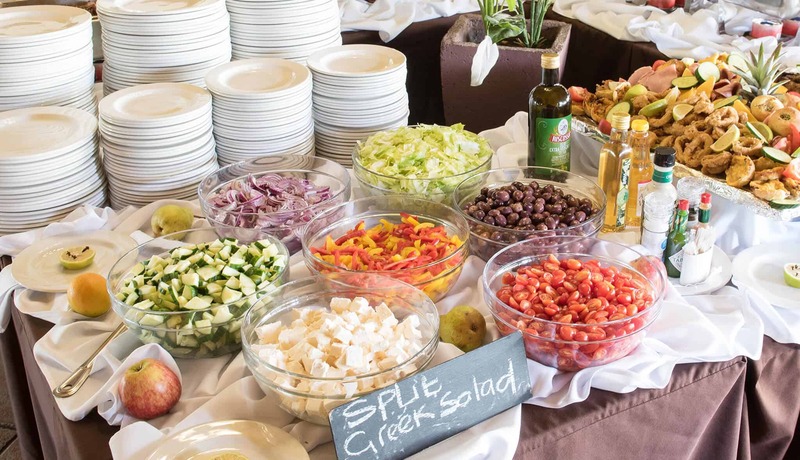 A range of salads, vegetables and sauces are available to order from the main restaurant. 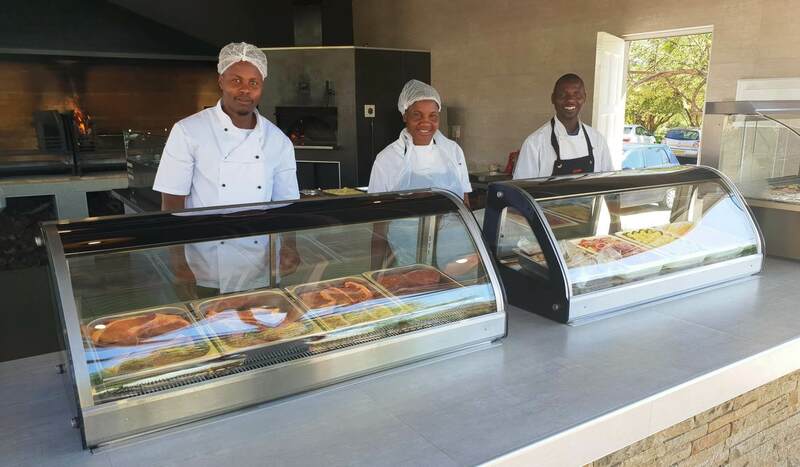 Once you’ve placed your order at the Pizzeria, you can take a seat in the main restaurant next door, and enjoy your meal overlooking the gardens, water features and natural veld. The Pizzeria is open for dinner every day of the week from 3pm including public holidays, and also opens for lunch on Saturdays and Sundays from 12pm. There is also a takeaway option for the Arebbusch Pizzeria, where you are able to order online and pick up your meals at your convenience. 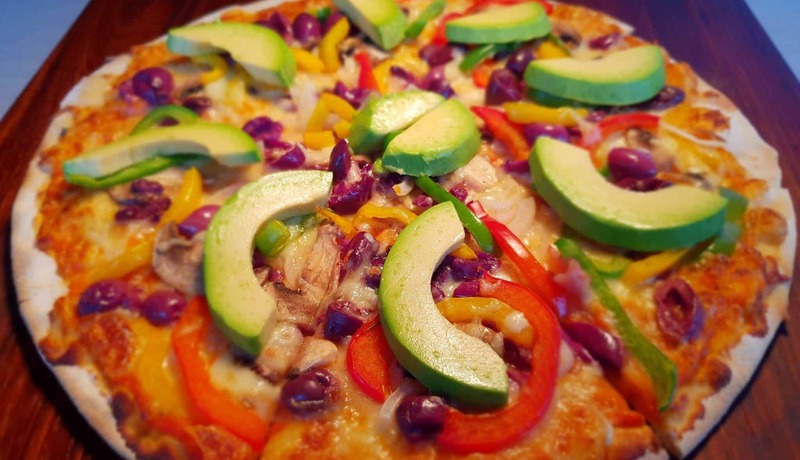 The Arebbusch Pizzeria also offers deliveries in specified areas of Windhoek as well. Visit the Pizzeria webpage to find out more. 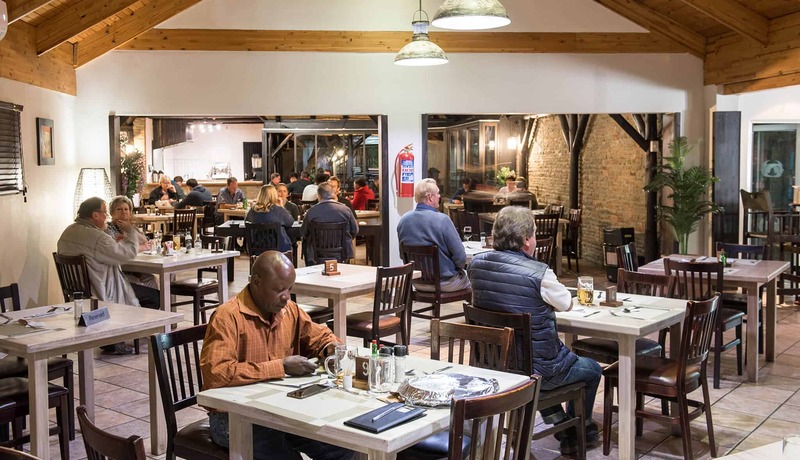 Please take note: The Arebbusch Travel Lodge Restaurant and the Arebbusch Travel Lodge Pizzeria share a seating area and reservations for both are handled via the Arebbusch Travel Lodge Restaurant. To book a table at the Arebbusch Restaurant or the Arebbusch Travel Lodge Pizzeria, please call: +264 61 252255 and select option number 4 from the voice prompt or alternatively, please complete the inquiry form on this page. Open on most public holidays but please call ahead to avoid disappointment. Are you intending to visit the Arebbusch Travel Lodge Restaurant or the Arebbusch Travel Lodge Pizzeria? 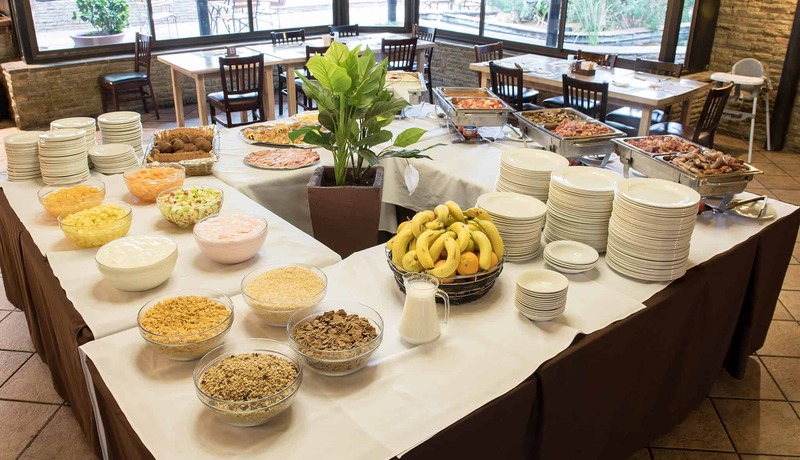 Or maybe you have recently been to the Arebbusch Travel Lodge Restaurant or Arebbusch Travel Lodge Pizzeria? If so, we would greatly appreciate it if you provided us with feedback. Click here for more information on how you can provide us with feedback either during or after your visit.